Soft - the cotton used is nice, the texture is really soft and feels comfy when rub agains skin - despite the surface > see point 2! Textured surface - as you can see in the close-up above, it has woven pattern to facilitate gentle physical exfoliation. LOVE this. Packaging - there is a thread to tie up the bag of cotton, not moisture-proof like a zip-lock but still a thoughtful design. Availability - Most Sasa stores sell these. Tear-able - Each layer is still as soft and natural as the whole piece. Easy to tear too! Loose Shape - When force is applied this can loose its shape quite quickly. You can tell from the natural fibre layers (see above!) that it is not welll-woven into a shape to endure force! 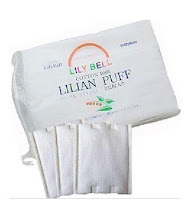 Packaging - unlike the Lily Bell, this plastic bag doesn't have any sealing design (or a tie). I'd say to keep it sanitary and dry, better use a ziplock or container to store. Excuse me for the lighting, but on the left is Lily Bell and on the right is Attirer. You can see the surface of Lily Bell has some woven stitches on, while Attirer is just like plain cotton fibre. For taking off make up, nail polish - you definitely want a little more friction to work with - help takes things off physically (the remover is just chemical, right?). Hence the Lily Bell works better. For applying toner/emulsion, it depends on personal preference - I prefer a better grip and cotton that stays in shape, hence the Lily Bell. But if you prefer something softer and more gentle to the skin, perhaps Attirer is yours. For doing lotion/water mask, I would say the Attirer works better because it is less pressed/sealed at the sides and the looser fibre layers allow easier tearing - which you need when you do lotion masks! Unless you can't tell, I prefer Lily Bell more than Attirer. Mainly because I don't always do lotion mask and I prefer something more sturdy to hold. I'd give Lily Bell a rating of 4/5 and Attirer a 3/5. 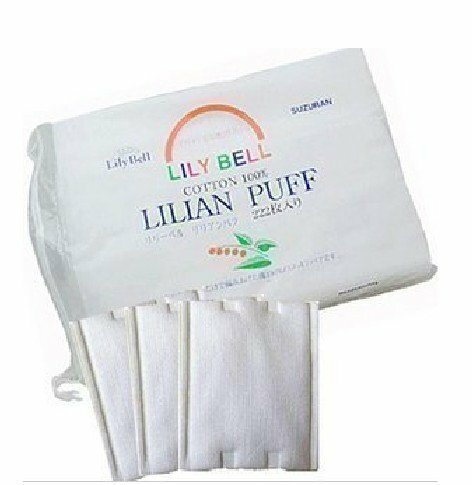 I've ordered the Suzuran Attirer Puff after reading raving reviews on several beauty blogs and I just don't get it... Ok, it is soft, it does not cover your face with lint, but it is so thin that one pad is never enough and it rips along both edges everytime I use them !!! I will keep looking for better brands! about the ripping, could it be you using too much force with the cotton? 'coz I don't have such issue with it breaking... and one isn't suppose to use much force on delicate skin area, no?